Susan is currently the Deputy Secretary for System Purchasing and Performance. Prior to taking her position as Chief Nursing and Midwifery Officer, Susan was the Director of Operations at Northern Sydney Local Health District where she managed a large portfolio, including acute health services, mental health, public health and health promotion units, workforce, training and education and Aboriginal health. 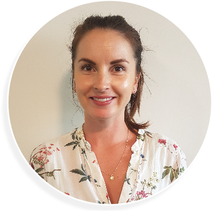 Susan also has extensive experience in both nursing and broader health workforce positions, having held the position in both nursing and broader health workforce positions, having held the position of Director of Workforce in the former Northern Sydney Central Coast Area Health Service. Susan has practised in a variety of settings, including as a nurse manager, a clinical Nurse Specialist in intensive and coronary care and as the manager of a project to implement the first nurse practitioner services in rural and remote NSW. Mr Michael DiRienzo, Chief Executive of Hunter New England Local Health District Mr Michael DiRienzo is Chief Executive of Hunter New England Local Health District, and is responsible for all health services across more than 120 health facilities from major tertiary referral hospitals to rural community health centres. With 17,000 staff and an expenditure budget in excess of $2 billion per annum, Hunter New England Health provides services to a community of more than 900,000 people across an area of 130,000 square kilometres. Following an 18-year career in Finance, Supply and logistics in the manufacturing industry, Mr DiRienzo joined Health in 1999. He has since held various Executive Director positions throughout the Health Service. He was appointed to Chief Executive in 2011. Excellence, Every Patient. Every Time is HNE Health's approach to doing the right thing for patients, their families, and by our staff. Excellence provides staff with proven tools and techniques to align goals, behaviours and processes to improve patient-centred care, and to build the capabilities of leaders and staff to ensure everyone is working in the best interests of patients and the organisation. 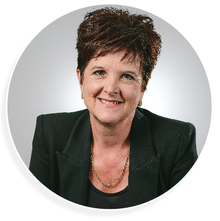 Annette is one of NSW’s most senior health leaders with significant experience in health management, nursing, inter-professional education, culture change, leadership development, quality improvement and research. She commenced as Chief Executive in June 2015. Initially trained as a registered nurse, Annette has had a rich and diverse career across many roles and functions in health. She is particularly interested in person-centered care and its application in educational program design to enhance workforce practices. Annette is focused on strengthening relationships between HETI and our health and academic partners to lead innovative and contemporary education and training. Annette has published in a range of journals, including Comprehensive Child and Adolescent Nursing. She is also a member of the International Practice Development Journal Editorial Board. Annette holds a Masters in Research, Nursing and a Bachelor of Health Science, and is Adjunct Professor at the University of Sydney and the University of Technology, Sydney. Dr Wijeratne studied medicine at UNSW. He trained in psychiatry at Concord Hospital, Sydney, and in old age psychiatry at the Maudsley Hospital, London. He then completed a post-graduate research degree in chronic fatigue. 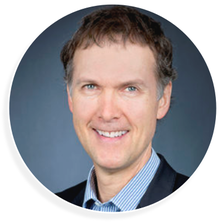 He is currently a Senior Staff Specialist at Prince of Wales Hospital, an Adjunct Associate Professor at the Sydney School of Medicine, University of Notre Dame Australia, and also works in private practice. He has over 50 peer reviewed publications. 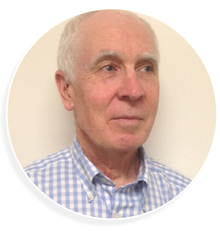 His clinical interests include the management of severe mood disorders, cognitive disorders, Parkinson’s disease and domestic violence presenting in older age. He was a former board member of Capacity Australia and has special expertise in the assessment of testamentary capacity. 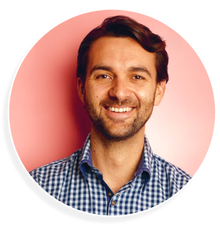 His interest in doctors’ health arose from his work as a consultant to the Health Programme of the Medical Council of NSW where he has assessed many medical students and doctors across the career cycle. He has written a chapter on doctors’ fitness to practice in the textbook, Capacity and the Law, and also led studies of successful ageing and retirement planning in older doctors. He is currently the chief investigator of a study examining whether online educational modules can improve retirement planning in general practitioners. 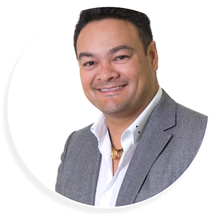 Kelvin qualified as the first Aboriginal Fellow of the Royal Australasian College of Surgeons (RACS), specializing in Otolaryngology, Head and Neck Surgery. Kelvin hails from the Worimi people of Port Stephens, north of Newcastle, NSW, Australia. He completed his Bachelor of Medicine, Bachelor of Surgery at the University of NSW in 1999. He embarked on his internship at St. Vincent's Hospital in Darlinghurst and pursued a surgical career, completing resident medical officer and registrar positions at various attachments. Along the way, his has also been privileged in serving the urban, rural and remote community. As well been humbled to partake in committee roles with RACS, AIDA, NCIE and local hospital initiatives. He is now practising in Newcastle (Awabakal Country) as a qualified Surgeon specializing in Paediatric & Adult Otolaryngology, Head & Neck Surgery (Ear, Nose & Throat Surgery). He is part of a strong, medical family, his mother is a nurse, his father a GP, his sister Marlene is a Public Health Physician Trainee / General Practitioner and her twin Marilyn, is Australia's first Aboriginal Obstetrician and Gynaecologist. Complementing his surgical training, he is kept grounded by his family, who are the strength and inspiration to him. Dr Ben Bravery is a junior doctor in western Sydney. He was diagnosed with stage three colorectal cancer at the age of 28, an experience that inspired him to change careers from zoology and science communication, to medicine. During treatment, Ben started blogging about the science of cancer and his journey. As a patient-turned-doctor, he now writes and speaks about patient advocacy and the cancer experience for outlets including the ABC, The Huffington Post, Medical Observer, Medical Journal of Australia and BMJ Medical Humanities. Ben has also advised multiple cancer organisations, researchers and a primary health network. Recent research includes an assessment of radiation oncology teaching at medical schools across Australia and New Zealand, a review into research on depressed people with cancer and exploration of how general practitioners diagnose psychiatric conditions in people with cancer. 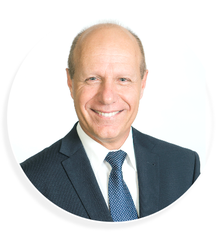 Dr Levesque has a Doctorate in Public Health, a Masters in Community Health and a medical degree from the Université de Montréal, Canada. He is a Conjoint Professor at the Centre for Primary Health Care and Equity of the University of New South Wales. His research focuses on how different models of care impact on patient outcomes and experiences of care. 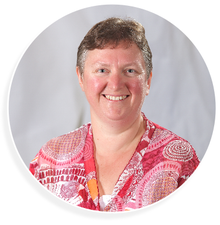 Deb Russell is a Senior Research Fellow at Flinders Northern Territory (College of Medicine and Public Health) in a remote and rural workforce research and evaluation role. 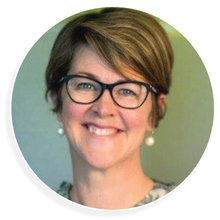 Deb is a medical epidemiologist whose specific academic interests include rural and remote health services research (models of care, understanding and measuring access to health care) and health workforce supply, distribution, recruitment and retention. 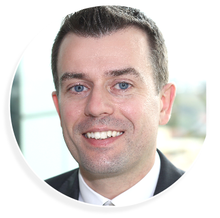 Dr Walsh is a Cardiothoracic Anaesthetist at Royal Prince Alfred Hospital in Sydney, Adjunct Associate Professor of Anaesthetics at the University of Sydney, and Clinical Associate Professor at Macquarie University. His special professional interests are anaesthesia for cardiac and thoracic anaesthesia, evidence-based medicine and medical regulation. 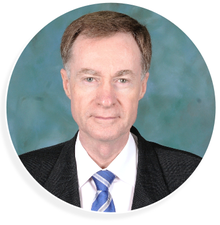 Dr Walsh has been an Officer in the Australian Society of Anaesthetists, President of the Australian & New Zealand College of Anaesthetists, President of the 1996 World Congress of Anaesthesiologists in Sydney, and Treasurer of the World Federation of Societies of Anaesthesiologists. 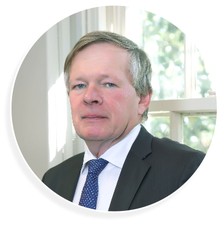 He has served on the various Committees of the NSW Medical Board and the Medical Council of NSW since 2002, and he is currently President of the Medical Council. Dr Anita Green works at the University of Queensland Health Service as a General Practitioner, is a Visiting Medical Officer in the Cardiology Department at The Prince Charles Hospital and was Chief Medical Officer for the 2018 Gold Coast Commonwealth Games. 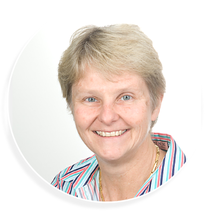 Anita is an experienced medical educator, with an appointment as a part-time Senior Lecturer for the Sports Medicine Programs, in the University of Queensland School of Human Movement and Nutrition Sciences. 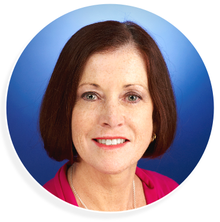 She has 25 years’ experience on Not-for-profit Boards in the Health sector and is currently a Director of Cancer Council Australia, Deputy Chair of Cancer Council Queensland and Chair of the Brisbane North Primary Health Network. She is passionate about increasing the evidence-based prescription of exercise for both the prevention and treatment of chronic disease. Professor Talley is currently Pro Vice-Chancellor, Global Research at the University of Newcastle, Australia. He is an expert clinician, educator and researcher, with extensive experience as a leader in the medical and University sectors. He previously held an appointment as Pro Vice-Chancellor (and Dean) of the Faculty of Health and Medicine at the University of Newcastle from 2010-2015, and was seconded to be the Deputy Vice-Chancellor-Research (Acting) at the University of Newcastle from June 2013 to March 2014. Dr Ian Scott is consultant general physician and Director of Internal Medicine and Clinical Epidemiology at Princess Alexandra Hospital in Brisbane. He is Associate Professor of Medicine at University of Queensland and Adjunct Associate Professor of Medicine at Monash University. He currently co-chairs the Queensland Statewide General Medicine Clinical Network, is the inaugural chair of the Australian Deprescribing Network, and is a member of Queensland Policy and Advisory Committee on new Technology (QPACT). He also sits on committees of the Royal Australasian College of Physicians, the Australian Commission on Quality and Safety in Health Care, and the MBS Review Taskforce for Cardiac Services. He has research interests in health services evaluation and improvement, clinical guidelines, clinical decision-making, evidence-based medicine and quality use of medicines. 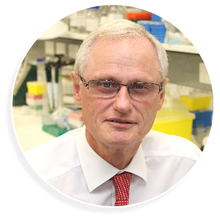 He has published over 220 peer-reviewed articles and is a recipient of several NHMRC and government research grants. 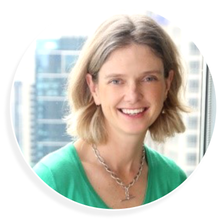 Carrie is the Chief Executive of the Clinical Excellence Commission (CEC). The CEC provides leadership in safety and quality to improve outcomes for patients. Since its establishment in 2004, the CEC has gained local, national and international recognition by developing and driving improvement initiatives in collaboration with consumers, clinicians, managers, and other health service partners. Trained originally as a nurse, she has 37 years experience in healthcare, including oncology, end of life care, organisational development, patient safety and quality improvement. Nicky Bath is currently the Executive Director of the National LGBTI Health Alliance the national peak health organisation in Australia for organisations and individuals that provide health-related programs, services and research focused on lesbian, gay, bisexual, transgender, and intersex people (LGBTI) and other sexuality, gender, and bodily diverse people and communities. 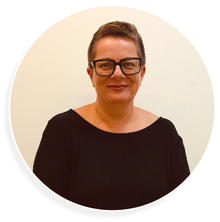 Nicky has worked in the NSW Ministry of Health as the Manager of the Harm Reduction and Viral Hepatitis Branch as well as several senior positions at ACON, NSW’s leading LGBTI health organisation, State and Territory drug user organisations and the National Health Service (UK). Nicky is committed to advancing the health and human rights of marginalised communities. 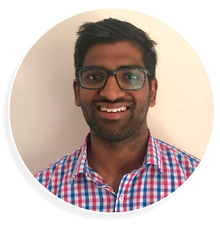 Dr Bhavi Ravindran is a Junior Medical Officer within the Hunter New England Local Health District. He completed his Bachelor of Medicine and Bachelor of Medical Science (Honours) at the University of Newcastle in 2018. Bhavi is currently a council member of the Australian Medical Council, the body responsible for the accreditation of medical schools, prevocational training and post-graduate training, and a member of the Medical Schools Accreditation Committee. He has previously served three terms as the student representative on the University of Newcastle Council as well as on the Strategic Development and Finance committees. Bhavi was also active in medical student representation with a term in 2018 as the Vice-President of the University of Newcastle Medical Society, where he advocated for the interest of over 750 medical students across the Central Coast, Hunter and New England Region. In 2015 and 2016 he served as executive director of the Australian Medical Student’s Association, where he oversaw the strategic direction and governance of a large national representative organisation that engages with over 17,000 medical student members. At the start of 2018, Bhavi travelled to Manila to complete an internship with the World Health Organisation in the field of HIV, Hepatitis and Sexually Transmitted Infections. Hannah is a current RMO at the John Hunter Hospital and President of the Hunter Resident Medical Officers' Association. Hannah started working life as a professional ballerina, training and working in Boston USA and Alberta Canada. In 2010 she returned to NZ to begin a medical science and statistics degree at Auckland University. In 2012 Hannah accepted an offer from the University of Newcastle for a Bachelor of Medicine. The last 2 years she spent completing her internship in the HNE network, running a couple of off-road marathons and working on various culture building events and wellbeing initiatives for the Hunter New England area. Throughout the 2018 clinical year Hannah was elected by her peers to be the HRMOA President. This role gave her an insight into the complex meshwork of the hospital system and how junior doctor life sits within it. It has enabled her to directly impact JMO mental health support and awareness, have a role in JMO education, to co-ordinate NAIDOC week events to help Close the Gap in our community and to serve our Newcastle homeless population. David Williams is Director of Neurology and Deputy Chairman of the Division of Medicine at John Hunter Hospital, as well as Co-Chairman of the John Hunter Hospital and Royal Newcastle Hospital Medical Staff Council. He is a Conjoint Associate Professor at UON, and Senior National Examiner of the RACP. 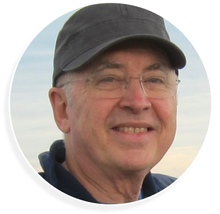 He has particular interests in late-onset neurodegenerative disorders (MND and HD), as well as MS, cognitive neuroscience, and medical education. He is a graduate of Sydney University, and was a Fellow at the Mayo Clinic in Rochester, Minnesota. Associate Professor Michael Boyle is the Medical Director of the Medical & Interventional Services at John Hunter Hospital. He originally trained at St Vincent’s Hospital in Sydney in Immunology and HIV medicine. After his specialist training he completed a Doctor of Medicine in HIV associated malignant disease and did further study at the national Institute of Health in Washington DC. He returned to work in John Hunter Hospital in 1994 in HIV, Immunology and General Medicine. His research interests include allergic disease, autoimmunity and HIV infection. 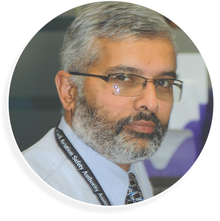 Associate Professor Pooshan Navathe is and has been a practising clinician specialising in occupational and aviation medicine for many years, and is internationally respected as a thought leader in evidence based aeromedical decision making. He continues to maintain his clinical currency, even as he works as the Director Medical Services for the Maitland and Lower Hunter Hospitals . He describes his role as that of a Senior Staff Specialist in safety, quality, and system integrity, and he brings to his role over two decades of safety and quality experience from the aviation industry, and his current assignment as a Wing Commander in the RAAF specialist reserve. 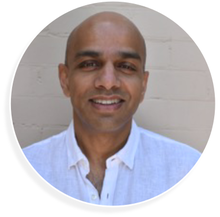 Pooshan’s special interests are safety and governance, the education and mentoring of health professionals, implementing change, and enabling colleagues to attain professional excellence in their practice. Georgie Haysom is the Head of Research, Education and Advocacy at medical defence organisation Avant. She has worked in health law for almost 25 years, assisting and advising doctors on a wide range of medico-legal issues, including several years representing doctors in medical negligence litigation. She has a long-standing interest in the interaction between law, medicine and ethics, and the way in which the law impacts on medical practice. She has a Bachelor of Science (Pharmacology), Bachelor of Laws (Hons 1) from the University of Sydney and a Master of Laws specialising in bioethics from McGill University. Senior Emergency Physician practising at consultant in EM since 1994. Currently the Director of ICU, Clinical Executive Director and Emergency Physician at Canterbury Hospital. SLHD Consultant Advisor in EM. Vice President and Chair of the Conduct Committee of the NSW Medical Council. Prior employment at the NSW Clinical Excellence Commission as a senior clinician and EM expert Advisor, leading the State wide role out of the SIBR program. Main medical interests include patient safety and quality systems, better communication advocacy and education. 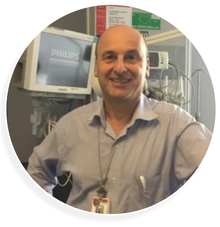 Craig initially trained as a radiographer and has spent much of his professional life in rural NSW, working in both clinical and management roles.Prior to joining HETI, Craig was the Director of Medical Imaging and BreastScreen across the former Greater Western Area Health Service. Craig commenced with the NSW Rural Generalist Medical Training Program in 2012.He is located in Orange where he lives with his wife and two daughters.